Posted on April 22, 2012 by Warin	in Black Women, Crisis, Drama, Kerry Washington, Scandal, Shonda Rhimes. Kerry Washington is bringing style and substance in a new ABC drama that’s redefining the faces we see on television. 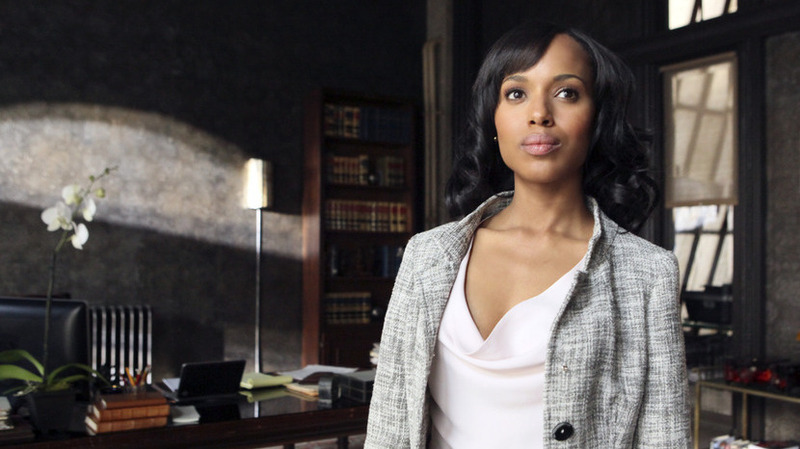 In her new hit TV show “Scandal,” Washington plays lawyer/crisis management strategist Olivia Pope. Pope is inspired by the real-life career of Washington insider Judy Smith. Smith played a key role in providing feedback and guidance for the Shonda Rhimes led series. From the first few episodes I’ve seen so far, “Scandal” comes off as sharp, slick and leaving the viewer wanting more. You really feel like your one of the “gladiators in suits,” as the show takes you through an unfolding crisis as Pope and her team work to prevent it from becoming a full blown public relations nightmare. What is also interesting about this show is that black women are at the front and center of it. The creator is a black woman, the lead actress is a black woman, and the show’s inspiration comes from a black woman. In fact, Washington is the first black women to star in a drama on network television in more than 30 years. Considering the fact that we’ve had an African-American First Lady for the last three years, it seems about time that women of color get more leading roles on TV.